you feel the urge to bake something sweet. you gained over the holidays. you bake something sweet anyway. Yeah, that's exactly what happened here! Oh these are so yummy! 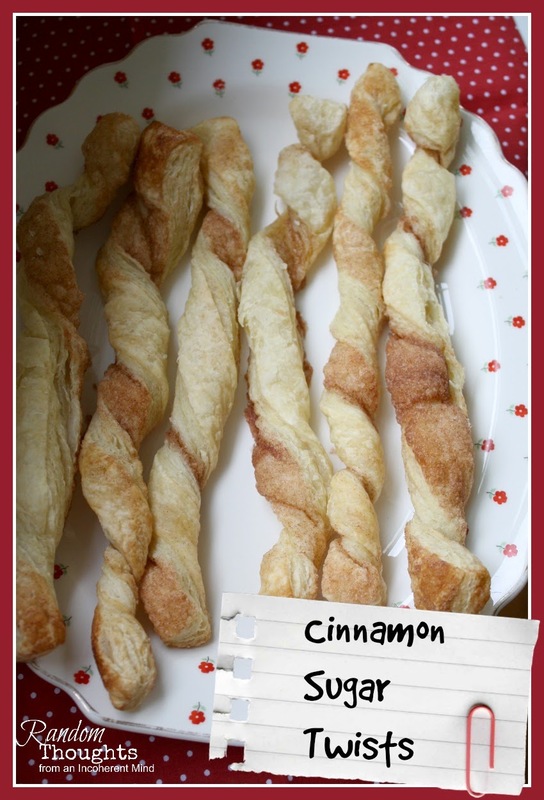 Crisp & sweet & so easy to make. Gently roll out pastry and brush with butter. Sprinkle with sugar & cinnamon. Cut each sheet lengthwise into 8 strips, then twist. Place on 2 parchment lined baking sheets and press down ends to secure. Bake at 400° until golden, 18 to 20 minutes, switching & rotating pans halfway through. Yum! 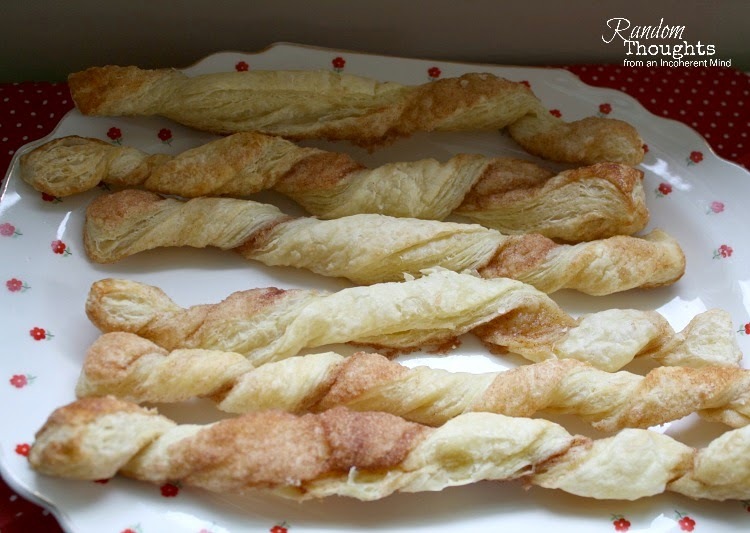 I love using puff pastry in recipes. Thanks! They look so good Gina! Yum! I will have one to go please!! Enjoy! Sorry I Had your name wrong, just was on a post that was for Diane. REally sorry. I wouldn't listen to my inner voice either if these were in the oven baking. OMG they look so good and I bet the house smelled divine! Yum! There's so much snow here, it's hard to say no to anything warm and sweet! Oh, Gina! Those sound delicious! I have decided that I should stop looking at blogs and Pinterest! I am developing a new and severe sweets craving and it is showing in my waistline. Of course, I still will have to try these - just one more treat, before the diet starts on Monday - hahahaha! Hi Gina! Oh, I can almost taste these little tasty morsels! I'll have to copy your recipe! Thanks for popping in to see me. You just said the magical word to bring me here ahahah "cinnamon". I'm hopeless and since weather is so cold here (still) I love not only the scent but the hot taste it leaves. OOO, Gina...these are one of my favorite things. Never made them using anything but pie crust but I sure will, now.